Having completed two successful terms as Chairman of AHR, Brian was instrumental in leading the practices development nationally and internationally from 2008 to 2015. AHR today is one of Europe’s largest practices and has evolved into an international business encompassing 450 staff in 13 offices. Having joined the practice in 1983, Brian was responsible for setting up the Manchester office and leading the development of the practices highly successful work in the schools sector. In addition to educational expertise Brian has over 35 years’ experience across a range of scales and building typologies including master planning, housing, offices, universities and health care buildings both in the UK and internationally. Recent projects include 22 schools for Salford and Manchester Building Schools for the Future Programs, 8 Academies for United Learning Trust and commercial developments in London. Brian also has extensive experience across a wide range of procurement and funding solutions involving both the private and public sectors on both and large scale estates and individual buildings. As a keen supporter of architectural education, Brian lectures across the UK and is currently a member of the University of Central Lancashire Architectural Studies Advisory Group and Salford University School of the Built Environment Design Board. 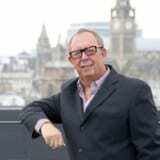 He also sits on the judging panel for the RIBA AHR Stephen Williams Award.